Inspired by Blog Series – Kevin Bacon by Eric ,Girly Geek By Lauren , Answers Community Leaders by Vinay & the Answers Community forum of which I have been a part from a long time,I decided to put this series to share astounding truths about dreamforce. Special thanks to Eric Dreshfield for being an Awesome Mentor, Supporter, and a True Evangelist. Isn’t this only a Salesforce annual user conference? Strictly, yes, it is Salesforce’s primary yearly gathering. Yet, Dreamforce is so much more than that. Individuals assemble in San Francisco from everywhere in the world to share thoughts and challenges, learn about new product capabilities, associate and network with one another, and, in general, be educated and enlightened about the Salesforce ecosystem. You get the opportunity to engage with thought pioneers, industry leaders, and a great many your companions from the ecosystem. What’s more, you’ll leave with great learning, new connections, and memories that will endure forever. With more than 2,000 breakout sessions, helpful keynotes, an exceptional expo, and a rockin’ show, Dreamforce is the world’s biggest innovation gathering. Basically, it’s the spot to be for the Salesforce Community. Learn and share best practices on more than 2,000 sessions, including expert and MVP led sessions and hands-on trainings, a Cloud Expo (the world’s biggest! ), exceptional selections for admins and developers, as well as Circles of Success, where you can get your inquiries addressed by product specialists. Make connections and share best practices. Whatever your part, organization size, or industry, the Community is prepared to share its knowledge and skills, and is eager to connect with you outside of Dreamforce, or even simply share lunch with you at Dreamforce. The Dreamforce community consistently meets the challenges to make an impact on other that is as large as the event itself. It’s mind-boggling what we can accomplish when we join together as a whole community. In previous years we’ve given 3 million dinners to those in need and gathered over a million books! Dreamforce may be the greatest cloud meeting anyplace, and it’s rapidly getting to be one of the biggest innovation gatherings in the world. 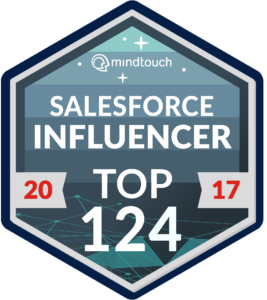 With that developing notoriety, the industry has generally expected huge names when Salesforce declares the gathering’s keynote speakers. From Dreamforce’s first year, CEO Marc Benioff has shared conversations with VPs, performing artists, CEOs, and illuminating tech industry celebrities. Here’s a far-reaching history of Dreamforce keynote speakers since 2003, the first year of the Salesforce gathering. In the initial couple of years, Dreamforce was called a “Client and Developer Conference” and the speaker rundown did not feature such recognizable names as it does today. Still, Benioff figured out how to stock the speaker list with pioneers and innovators: Note beginning in 2013, Dreamforce and the Benefit for UCSF Benioff Children’s Hospital were joined. Earlier years, they were separate events. Sheryl Sandberg, Marissa Mayer (CEO and President, Yahoo! ), Deepak Chopra.